Love is in the air in NuLu! Click here to READ the February NuLu Newsletter! Click Here to READ the latest and greatest NuLu Newsletter to start your year of right! 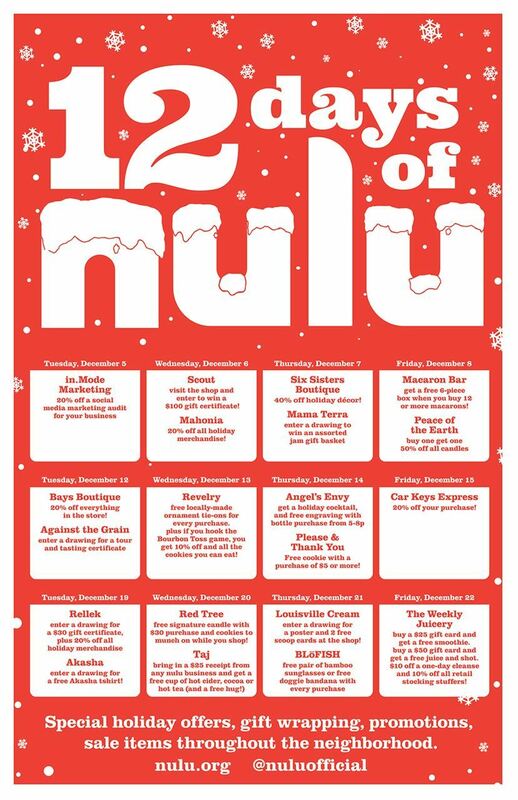 The Holidays are just around the corner, get in the spirit in NuLu! Read our November Newsletter to learn more. Fall is in the air and we have some great events and happenings in NuLu! September NuLu Newsletter...hot off the press! Click below for the June NuLu Newsletter and all the cool things happening!